It’s seven o’clock, Friday night, and I receive a frantic voice message from my Executive Assistant saying that a very wealthy buyer is ready to write a buy-sell offer on one of Schlauch Uhlmann Platinum Properties’ higher priced listings. I’ve just logged a ten-plus-hour day and am preparing dinner. 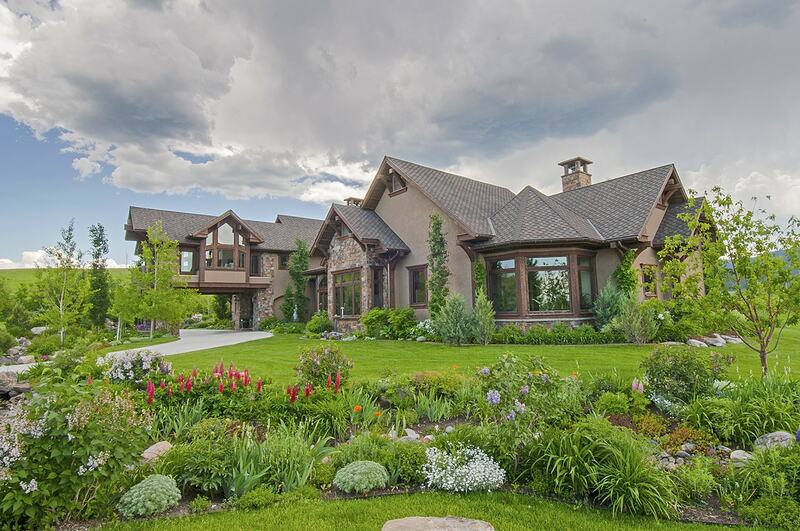 The downside of today’s thriving real estate market at PureWest Christie’s in Bozeman, Montana, is that we are working seven days a week to provide clients with the high standard of service we demand of ourselves. I turn down the oven, trudge upstairs to my home office, and place a call to a Florida number. It goes to voice mail. An automated voice informs me that the mailbox for this number has not yet been set up. I barely click off before my phone rings. A gravelly-voiced female says “Hello, Sally, sorry I couldn’t pick up fast enough, I was on a business call.” Following introductions, the woman launches into a long winded story about promising her dying father she would take care of his polo ponies, hunters and jumpers, and the listing I represent is ideal. “Have you seen the property?” I ask. She replies that is not necessary as the photography and documentation on our web site suffices. In the decade I’ve been selling luxury real estate, I’ve never known of a single property in Bozeman being purchased sight unseen, let alone by an individual who has never been to Bozeman. I mention this fact and she informs me she is extremely rich and powerful, owning and running a major global corporation, her own country club, enjoying multiple homes around the world, and sitting on numerous boards. I note to myself that I’ve also not encountered truly wealthy people who boast about their fortune. Wealthy folks let you know they have money by dropping cookie crumbs, not shouting in your ear. I take a slow breath. “I don’t mean any disrespect, but it is now 7:15 on a Friday night and you’re wanting to write a buy-sell on a multi-million dollar property you’ve never seen, having never visited Bozeman. My duty to my seller includes qualifying buyers, which, apparently, in your situation will be easy. Let’s talk in the morning. You can email me your letter confirming funds and then we can work through a buy-sell.” The woman is definitely peevish. “Okay, be that way,” and she basically hangs up just as I click on the Google images of the very real, uber rich woman I have supposedly just been speaking with. The woman in the photo is maybe 45 years old and Asian. She’s glamorous, sophisticated, attending major galas with a host of handsome men, and from the look of her, not a lady who places calls at 7 pm on a Friday night. I won the bet. Now I am left to wonder what possess a person to try to pass themselves off as a wealthy buyer? What satisfaction do they obtain by playing this game, wasting another’s time? Are they lonely? Mentally ill? Just trying to experience the respect and power accorded a high-end buyer by a Realtor who believes they are a real buyer? There is no recourse. Nothing prevents this woman from calling any agent anywhere in the country and re-enacting this charade. Agents are optimistic people and the woman’s spiel is almost plausible. The agent begins visualizing large commission checks and the thrill of the deal silences alarm bells that should be sounding. The problem is that cons are not just happening in real estate. They exist whenever a person suspects they are able to prey on another’s weakness and break through the line of common sense. Unfortunately, we live in a world filled with all sorts of people who have all sorts of agendas. We need to listen to our inner voice and when something seems suspicious or too good to be true. We need to hit the pause button, not commit, and do some investigation. That property is still for sale, and one day a new owner will love it. I can guarantee the new owner will have toured it prior to making an offer. If you are a qualified buyer, call us if you’d like to see it.